I had the pleasure of interviewing Chef Ricardo Zarate, when he was just named “Best New Chef” in 2011. I was blown away by his Lomo Saltado at his Downtown Los Angeles restaurant, Mo-chia, and was so excited to try his then new baby, Picca, in West L.A. Since I’ve aslo been dying to travel to Peru, I figured eating Peruvian cuisine is the next best thing. Picca means “to nibble” and since tapas-style is my favorite way to eat, I knew I would be in heaven. As we arrived, I noticed the exposed brick walls and the cozy, yet hip vibe. 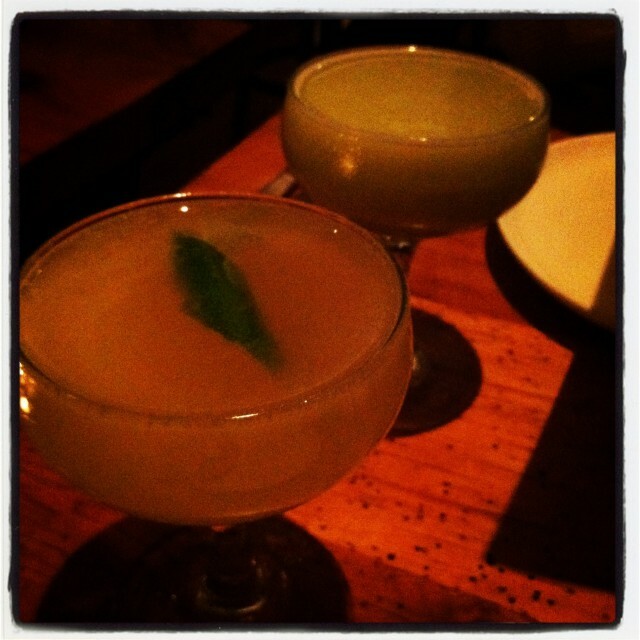 I was instantly impressed with the friendly, knowledgeable servers and the Pedro Serrano. This specialty cocktail is made with blanco tequila, single village mezcal, green chartreuse, agave nectar, green chile tincture and a lime twist. They’re known for their avocado cocktail which was also good, but I fell in love with the spicy tequila drink. What more could a girl ask for? We ordered a bunch of items because I have to try everything, but we barely put a dent in the menu because there are so many items to choose from. 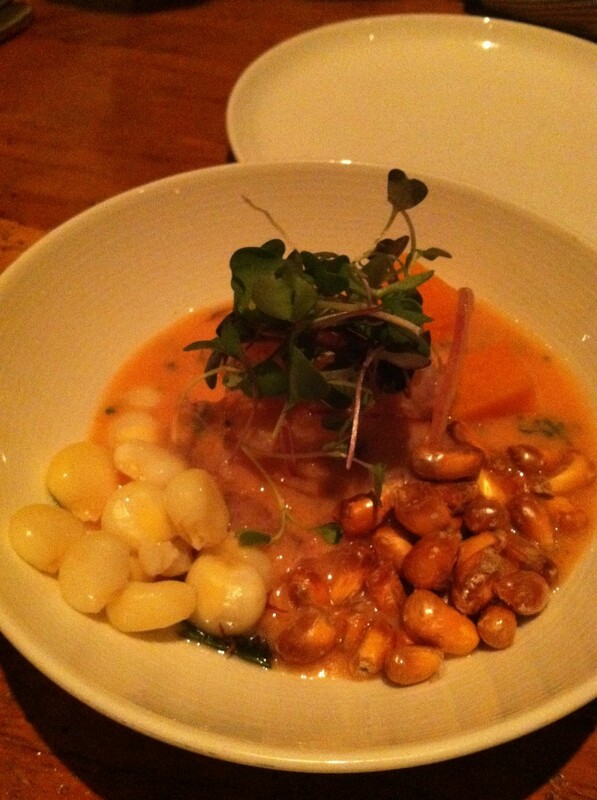 ceviche criollo– This is a seabass ceviche & you HAVE to love lime because it’s the main player in this dish. But the fish is so fresh and the texture is very diverse. There’s even sweet potato in it! 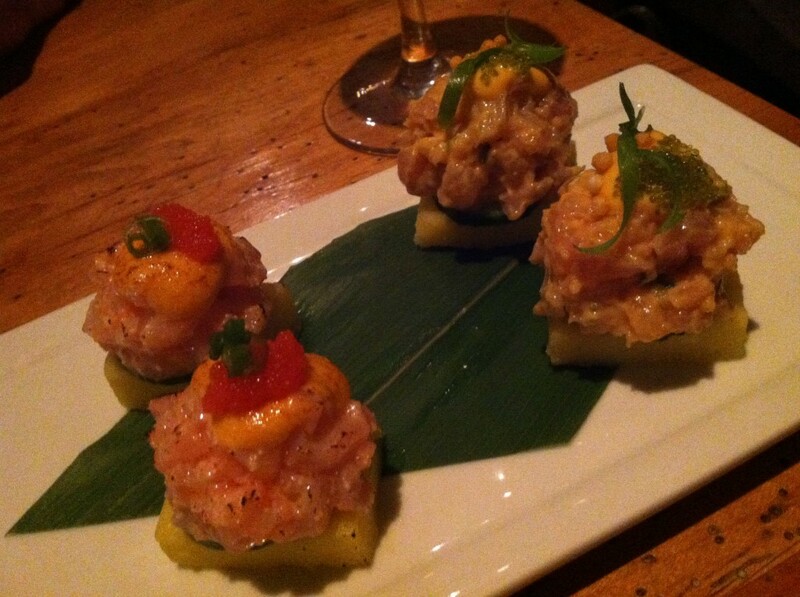 causas– These were my favorites on the menu b/c it’s basically Peruvian sushi and I love sushi! Instead of rice, they use mashed potato. It may sound strange but it is unbelievable. I loved the unagi, scallop, spicy tuna & yellowtail causas. anticucho– These are basically small skewers. The black cod and the beef filet were great. I have to go back to try the others (sorry no photos of those). 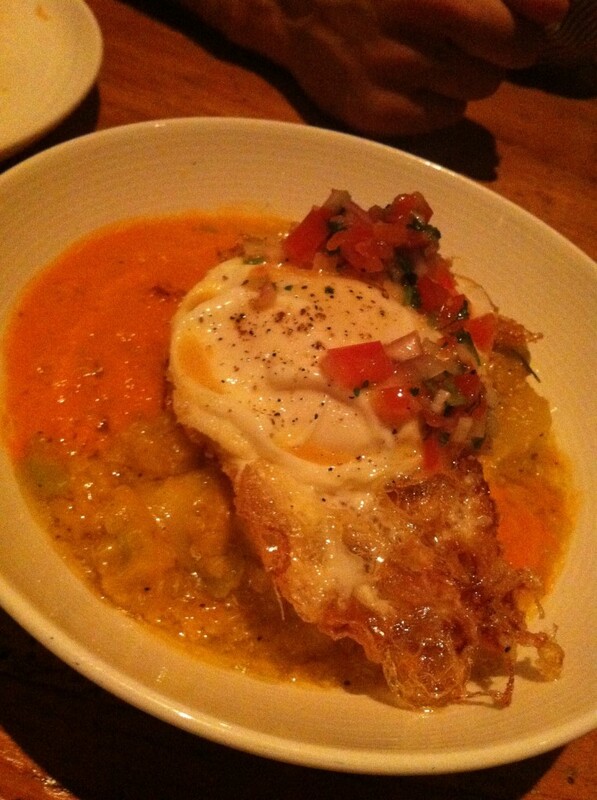 locro de quinoa– This quinoa dish was so tasty and perfect for those chilly months coming up. It was hearty and super nutritious. And of course I love it because it came with a fried egg on top! Bonus points!! And because I kept hearing about the churros, I had to try them even though I don’t have a big sweet tooth and I’ve never had a churro that blew me away. But these churros were out of this world! They were light and fluffy with a perfect crisp on the outside and not too sweet. They also came with the most amazing chocolate dipping sauce. I will never look at churros the same away again. Thanks Picca! I am now a true believer in Peruvian food. I will be back. Click HERE to see Chef Ricardo in action at his other restaurant Mochia.